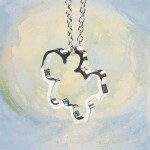 Please browse the gift ideas we have come across for jewelry items throughout 2010. We hope you will find this gift guide to be helpful in finding the perfect gift for someone special in your life. 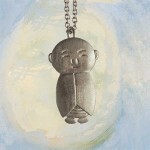 Description: The Jizo and the Chibi represent different roles. One represents the protector or guardian and the other represents a child or your inner child. These Buddhist-themed jewelry pieces are available in sterling silver and in 18k gold vermeil.